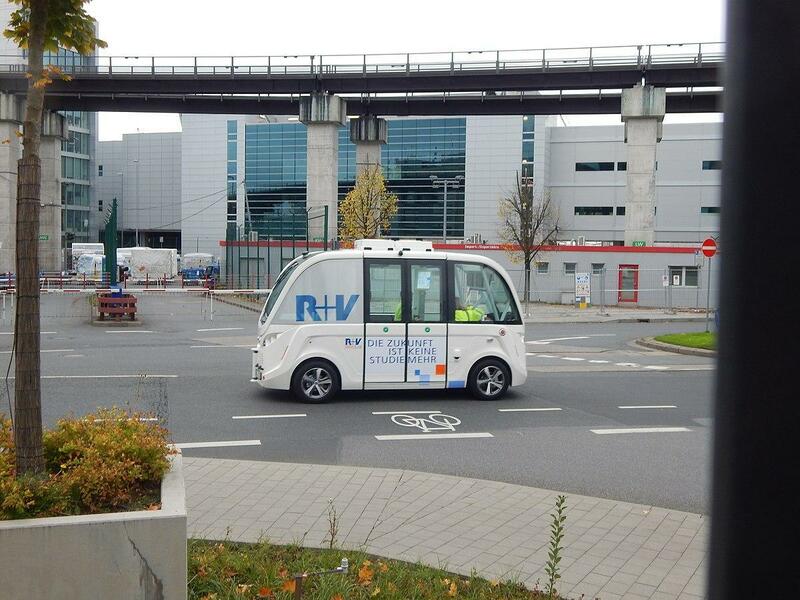 Test of driverless shuttle buses at the Frankfurt, Germany Airport in October 2017. With an executive order signed May 9, Ohio Governor John Kasich hopes to accelerate autonomous vehicle testing by opening up roads across the state and connecting communities with participating companies through DriveOhio. For the last few years, Ohio's testing has centered on I-90 and The Ohio Turnpike. US 33 from Dublin to East Liberty in Central Ohio is another smart corridor. A $40-million dollar federal grant has helped pay for fiber optic cable along US 33 where testing is underway for driverless trucks. 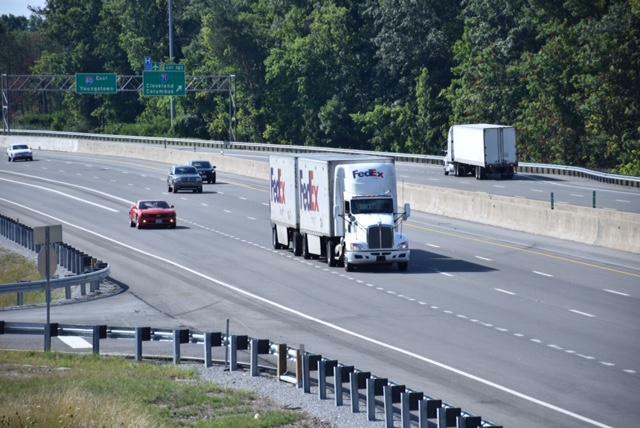 So-called "Smart Lanes" are key for I-670 in the Columbus area. When traffic starts to back up, the shoulders open up for travel. DriveOhio says the state may install smart lanes on I-275. In the meantime, Ohio will study traffic patterns on I-75 between Cincinnati and Dayton. "We will be looking at the data, how folks get to and from work," explains DriveOhio's Jim Barna. "So the idea is that we're looking at last-mile options that may involve smart technology in some form or fashion." "Last-mile" options are why an increasing number of cities are encouraging more autonomous vehicle testing. Brooks Rainwater with the National League of Cities says the percentage interested has gone from six to 38. He's excited about how the shift to driverless vehicles will affect urban planning. "[It] allows people to live, work and play in an environment that's central to those people themselves," he says. "Right now vehicles are what so many cities are designed around." Still, Rainwater cautions against everyone having a self-driving car. He says that would defeat the purpose of trying to solve traffic problems. DriveOhio has joined Cincinnati's Smart City Committee, which is pursuing driverless shuttles. In fact, the committe is in the early stages of building a test track and deploying, though there is no set location yet. The committee chair would like it to transport people from uptown to downtown and from downtown to the airport. Ohio has its foot on the gas accelerating an effort to grow its self-driving vehicle industry. 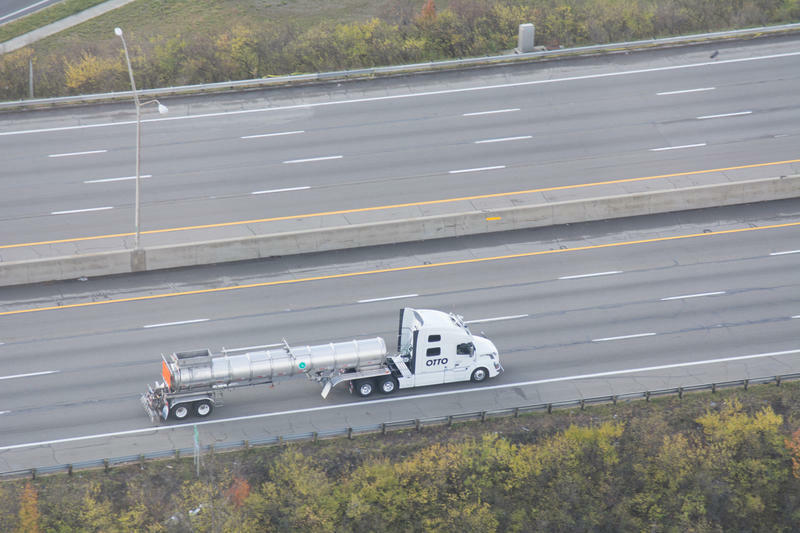 After success last fall, The Ohio Turnpike and OTTO are planning more tests this spring and summer for self-driving tractor trailers across Ohio's northern corridor. In the next month you could start seeing self-driving vehicles in Ohio. The state has been quietly marketing itself to manufacturers as a ready, willing and able partner in the self-driving vehicle arena. Right now car companies are focused on making sure self-driving vehicles can safely navigate the road. But when all the kinks get worked out they'll turn their attention to the car's interior to best suit drivers who don't have to drive.